IPKO Foundation is pleased to announce the new project- Community boost_r which is being organized for the first time in Kosovo. Community boost_r challenge inspires, enables and promotes tech for civil participation in transparency and accountability initiatives in the Western Balkans. The project in Kosovo is implemented by IPKO Foundation (Kosovo), Fundacja TechSoup, Dokukino (Serbia, BiH), Zašto ne (BiH) with the support of Charles Stewart Mott Foundation and the National Endowment for Democracy. Community boost_r is a competition that is seeking the best web or mobile ideas for social projects in Kosovo, Bosnia & Herzegovina and Serbia. 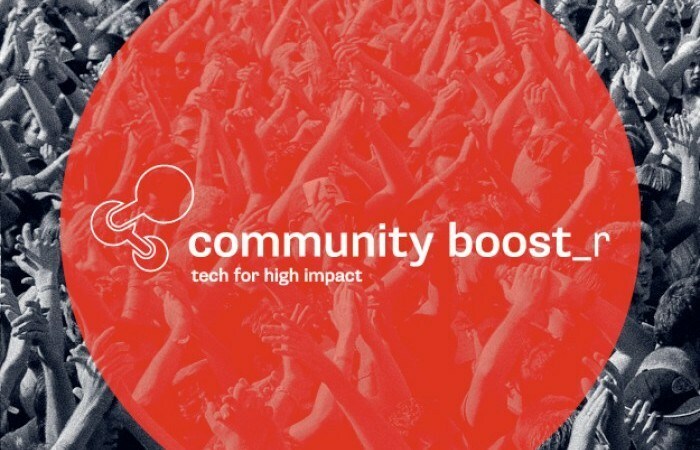 Community boost_r offers to citizens, designers, programmers,students and NGOs, the chance to win grants of $ 5,000 by creating web and mobile platforms, to demonstrate commitment for building a stronger state, and to connect with innovators, active communities, the public, businesses, and NGOs. Get informed by checking out the rules of the competition and the best and latest information, strategies, and case studies for your projects and initiatives here. Network with others by following ideas and topics you find interesting and contact people behind them. Write e-mails, connect via Facebook or tweet #communityboostr. If you want to know more about the project, IPKO Foundation welcomes you in the BarCamp Prishtina #12 where more details about the opportunities and conditions to participate in Community boost_r will be discussed.